In late October/early November, a tea company called 52Teas ran a Kickstarter campaign to fund a special suite of holiday-themed teas. The big deal with 52Teas is that they blend a brand-new flavour of tea each week that’s available only for a limited time. Some flavours may get reblended in the future if they’re big hits, but otherwise, they’re one-offs; generally, the Christmas teas are available only during the holiday season. The 52Teas holiday Kickstarter wasn’t something I was originally considering funding since the exchange rate between the Canadian and US dollars is so bad right now, but these teas sounded so good (as did some of the stretch goal offerings) that I ended up chipping in. How can I resist the prospect of having even more teas to review in the new year? I ordered a 1/2-ounce sample of all 5 holiday blends. Let’s take a look. Before I discuss this tea, I need to confess: I’ve never had egg nog. I understand that it’s supposed to be creamy, sweet, rich, and gently spiced — I once saw a comedian call egg nog a “booze smoothie”. But there’s just something about the concept of it that doesn’t appeal to me. As a result, I don’t think I can appreciate this tea fully the way other tasters might. But here goes. The thing that really strikes me about this tea is that it doesn’t skim on the seasonings — you can definitely see coriander, big chunks of cinnamon and huge cardamom pods in the dry leaf. 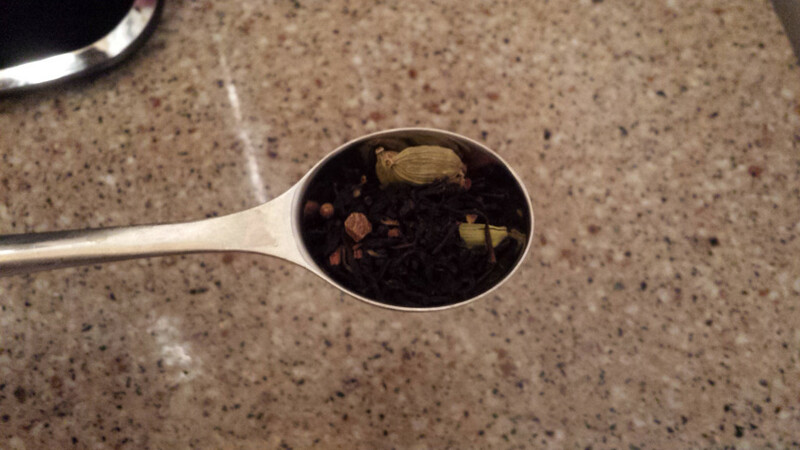 The dry leaf smelled like a masala chai, with a bit of something fruity/different up top. It was kind of citrusy, actually, which is weird. Maybe it was the coriander? Maybe the honeybush? Anyways, I used 1.5 tsp of leaf for 1.5 cups of water and let it steep for about 4 minutes. After that, as per the instructions on the packet, I let it sit for a bit to develop the flavour — I’ve heard from others that Anne’s 52Teas blends taste best if you let them cool down before drinking. The tea tastes very true to the smell of the dry leaf; I’m detecting notes of cinnamon, vanilla, and honeybush, and everything is really nicely balanced. I don’t know how much like egg nog this tea tastes, but there is a sort of tart/creamy note that might correspond to it. Overall, a really nice blend, even without sugar or honey. Houjicha is a type of Japanese green tea that has been roasted. It has a similar flavour profile to roasted oolong, but it’s lighter and less intense in comparison. The roasting process not only changes the flavour of the tea, though, but also reduces the caffeine content, making houjicha a great choice for drinking in the evening. Which is what I did — I had this gingerbread-flavoured tea before going to bed. The leaf is dark brown and fluffy, and contains visible chunks of dried ginger and flower petals. The ginger is obvious in the scent, as well. The leaf is fluffy, which means that it’s hard to measure out, but I used about 2 tsp for a 12-oz mug, brewed it at 85°C for 4 minutes, and was greeted with a pale umber liquid. As it cooled down, the tea became darker. The roasted base of the houjicha is really complementary to the ginger — it’s not spicy, but I can sense the ginger’s fruity zing. I can also taste some gentle spices on the back of the sip, most notably coriander. However, the base is still the strongest flavour, especially in the middle of the sip. The ginger and spices only really come out to play at the end of the sip and in the aftertaste. I didn’t use any sugar, though; these flavours would probably come out to play more with some sweetener in place. 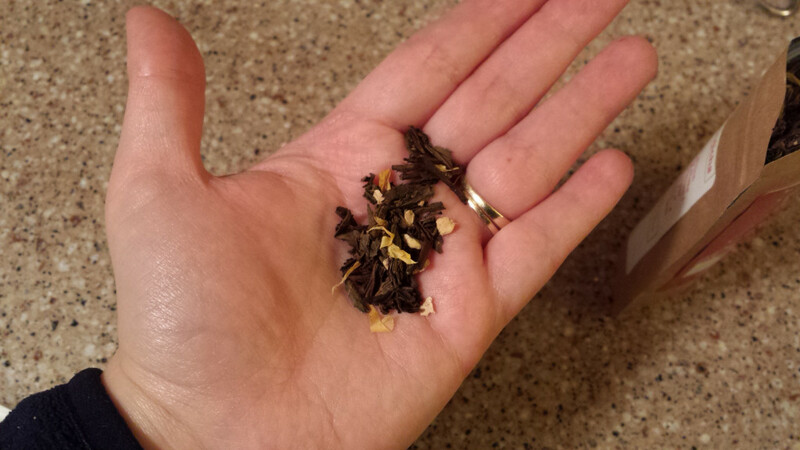 When I decided to contribute to the 52Teas holiday Kickstarter, I was most excited about this blend. Chocolate? Good. Marshmallow? Interesting. Mint? Nice. All 3 of those flavours seemed like they would play together in a good way. 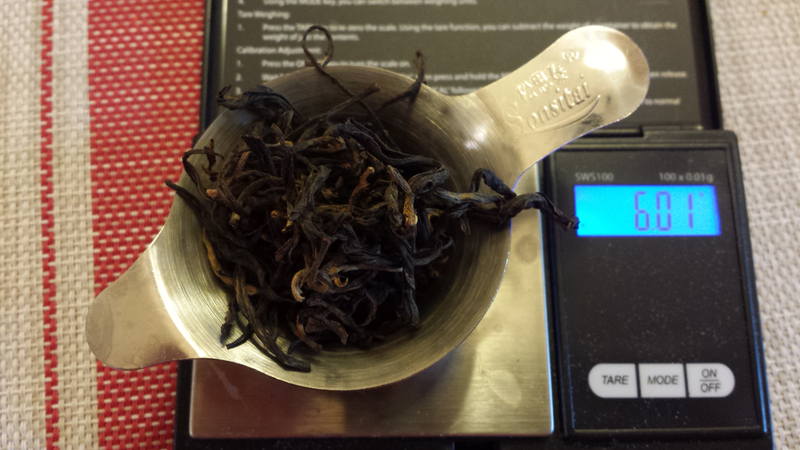 But then she said that she was going to use Verdant Tea’s Laoshan Black as the base tea, and I got super excited. I had Laoshan Black back in October, and its flavours of malt and cocoa nib seemed like the perfect way to complement and blend the marshmallow, mint, and chocolate. You can see all of the elements in this blend in the dry leaf — the marshmallow root, the cocoa nib, the chocolate chips. When you open it up, it smells like an After Eight chocolate mint. Yum! 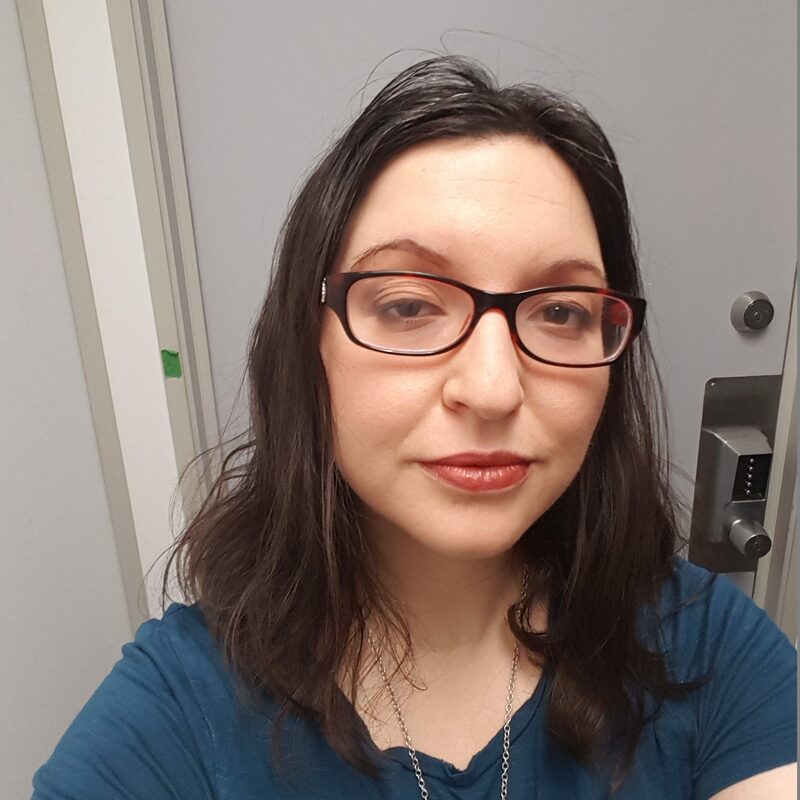 I used boiling water and let it sit for about 6 minutes; this is longer than the recommended 4 minutes max listed on the package, but I chanced it because the tea looked a tad light after 4 minutes. It was still fairly light after 6 minutes — beery amber rather than the kind of malty black I was expecting. However, this didn’t negatively affect the taste. I got mint and chocolate, but the marshmallow was the strongest note to me. The tea was also kind of malty/bready, which made the whole thing taste kind of like a cookie. Nice! I didn’t have this with any sugar, but I bet adding some would have made this even better. I’ll definitely enjoy drinking the rest of this. When I first heard what flavours were going to be part of this Kickstarter, I was pretty sure that nothing would be able to top the Peppermint Marshmallow tea above. Look at this! Whole cranberries! There are also whole pieces of orange. 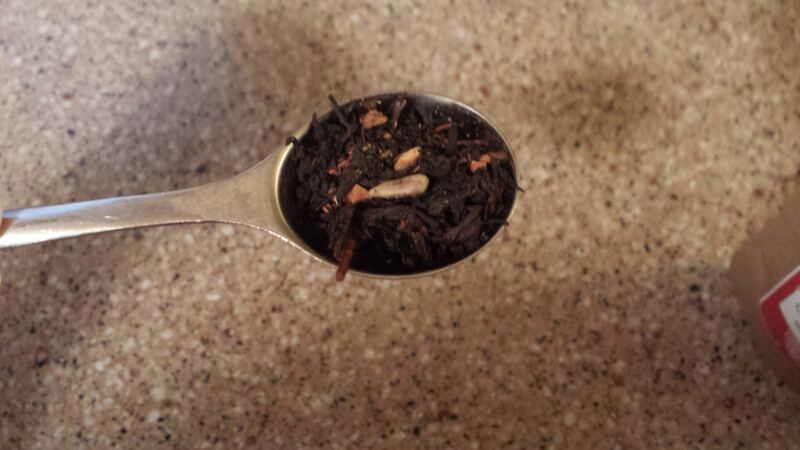 The rest of the tea is a mix of what looks like red rooibos, green rooibos, spices, and possibly orange peel. The brewed tea is just as good — there’s an excellent balance between the vibrancy of the cranberry, the juiciness of the orange, the solidity of the base rooibos, and the warmth of the mulling spices in the background. The decision to mix red and green rooibos is a smart one, since green rooibos has a lighter, fresher taste that works well with the fruit. 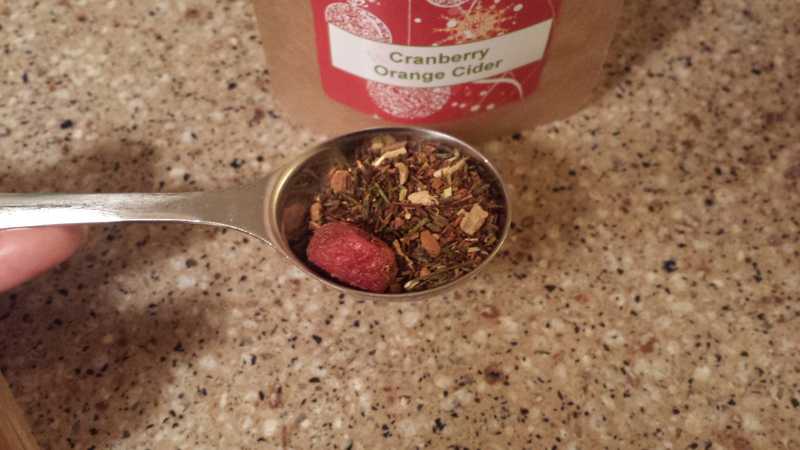 Hands down, this was the best of the flavours available through the 52Teas holiday Kickstarter. I’d really like to get more of this tea, because a half ounce sample is just not enough. My mom loves chestnuts, but she’s not a big tea drinker, so I doubt she’d try this. It’s just as well, since to get the “roasting on an open fire” note, this tea incorporates Lapsang Souchong, the famous black tea flavoured with pine smoke, into its base. My mom, who is a classic Orange Pekoe kind of lady, would probably pale at the thought of drinking smoky tea. This tea is supposed to combine the flavours of nuts, smoke, and caramel to result in something suitably wintry and festive. There aren’t any whole chestnuts in the tea, though — the nutty chunks in the tea that you see below are actually hulled sunflower seeds. 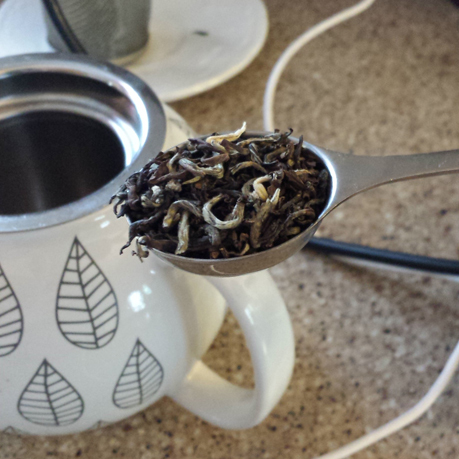 Unfortunately, when I brewed this, I didn’t taste much else beyond the smoke of the Lapsang. I didn’t get much in the way of nuts or caramel. 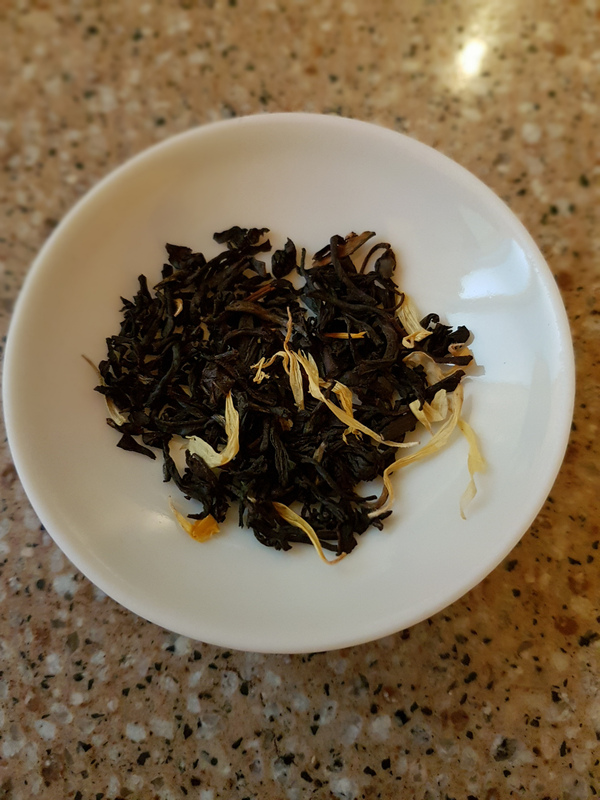 Lapsang Souchong in and of itself isn’t a bad tea, but it’s the sort of thing you really need to blend with other foods to get a complementary effect, like a nice meaty slice of pizza or a square of dark chocolate. Although this tea is attempting to do the same on its own, the sparks didn’t fly here. I’ll need to try it again and see if varying the steep time or adding some sugar will improve things. The Cranberry Orange Cider was my favourite hands-down, and the Peppermint Marshmallow Melting in Hot Chocolate was a close second. The Gingerbread Houjicha and the Egg Nog Chai were both pleasant, but I think I preferred the former because I have a better idea of how it compares to gingerbread than how the chai compares to egg nog. Chestnuts Roasting on an Open Fire places last, because I didn’t get much depth of flavour from it. 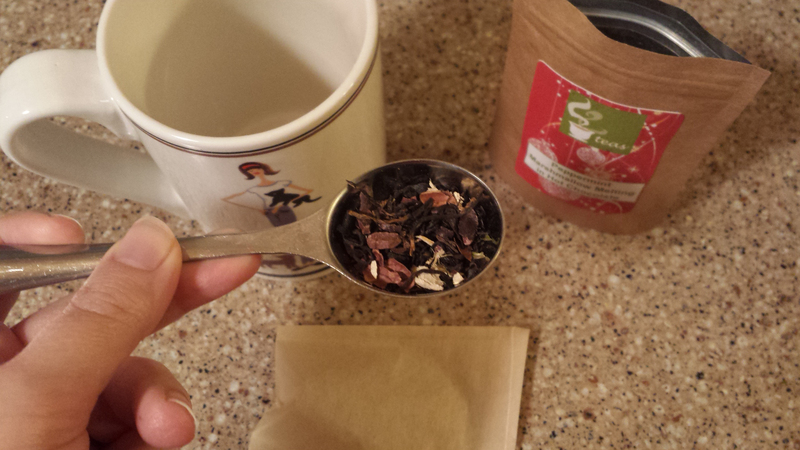 You can check out the 52Teas holiday blends here.